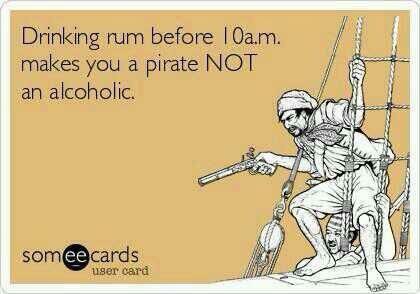 There are a lot of rum memes out there and I’ve narrowed it down to the best of the lot. Once again, I do it for all you little sippers… free of charge! As I’ve written before, I often get an odd look when I’m pouring myself a drink in the early hours of the day. I personally see nothing wrong with a nip in the morning. Call it the breakfast of champions, if you will. At least now I know I’m not alone and I properly belong as an audio-animatronic on Pirates of the Caribbean! 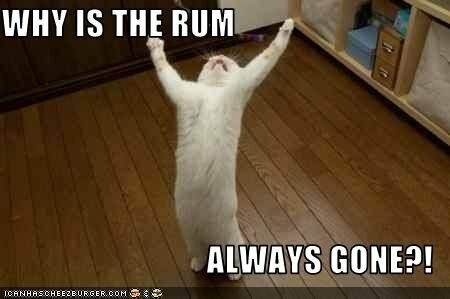 I’ve always felt akin to felines and now I know we share the same feelings on rum and the fear of discovering it’s all gone. Luckily, I always keep a thorough stock of the spirit, usually in a variety of styles and flavours. Relax little kitty, you’re always welcome to come party with the Sip Advisor! 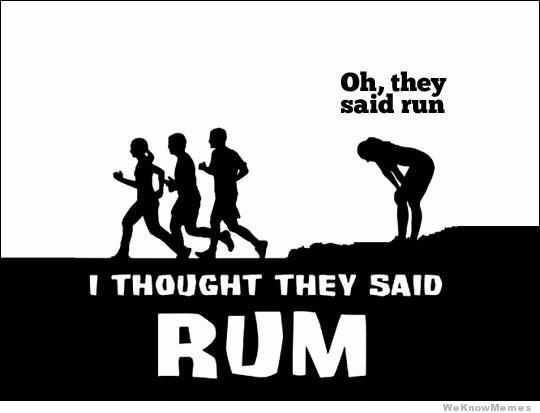 I hate running… but if I saw a group of people running with the thoughts that we were all chasing down some sweet liquor, I’d be right at the head of the group and doing everything I could, Wacky Races style, to finish first. Like this meme, though, the minute I learned everyone was just going for a jog, I’d quietly disappear! Now this is my kind of exercise. 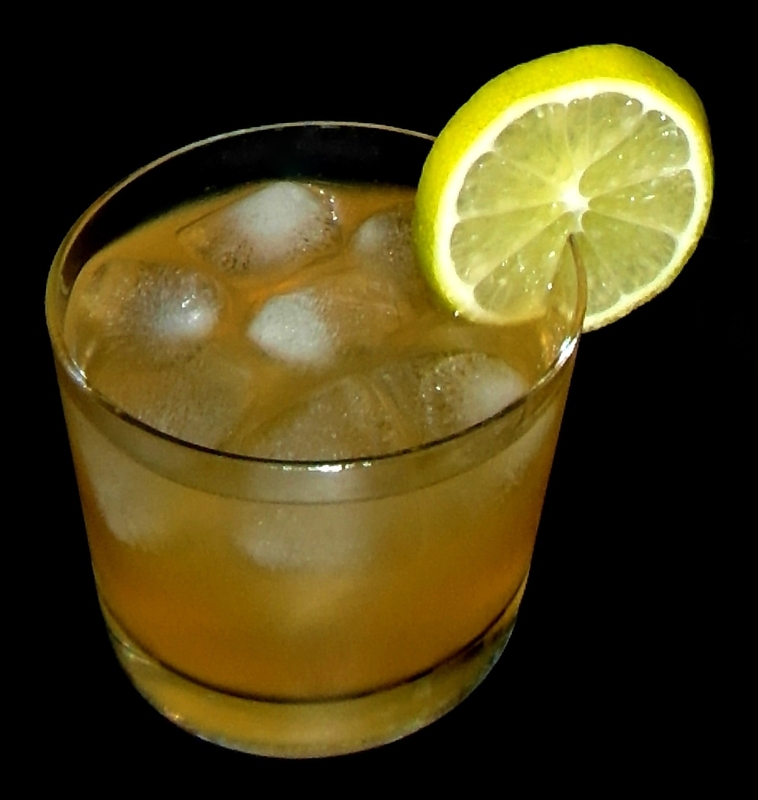 Bringing your glass routinely to your lips is a form of bicep curls and if you’re constantly getting up and down to make a new beverage, that could be looked at as doing squats. 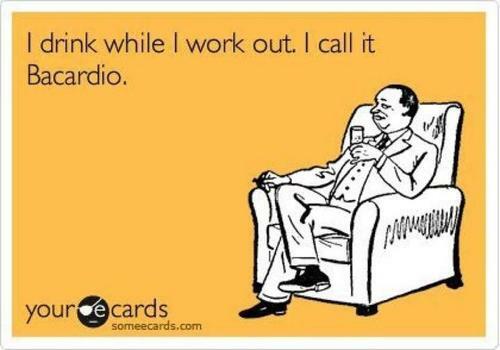 Finally, drinking while also not dying can be thought of as breathing exercises, and now you’re getting a full body workout! We can learn a lot from our elders, particularly this wise meme lady. 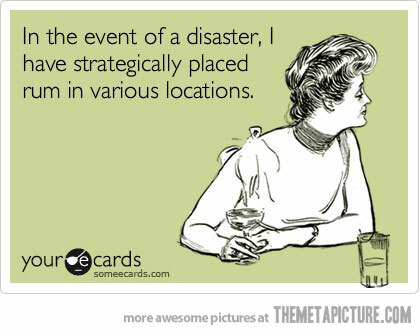 I need to do a better job of having contingency liquor. Right now, I have everything in one basic spot and that’s not planning ahead properly. Most importantly, everyone should have one bottle stashed in their bedroom in case they don’t feel like getting out of bed! Today we drink the daiquiri, one of the world’s most noble cocktails. Join me, won’t you! Last month, I included the Wildberry Daiquiri as part of Frozen Cocktail Week, but it’s such a classic cocktail, it had to be done for Rum Week, as well. This version isn’t too bad, but there’s not a whole lot going on and the Light Rum taste isn’t masked as well as most might hope for. I like my drinks to play on the strong side, so that’s okay with me, but other’s might want to hesitate. This entry was posted in Crazy & Classic Cocktails and tagged bacardio, Breakfast of Champions, cocktail, Daiquiri, full body workout, kitties, Light Rum, lime juice, lime wheel, liquor contingency plan, Pirates of the Caribbean, respect your elders, Rum Cocktail Week, Rum Memes, running, simple syrup, Wacky Races by Daniel Wilson. Bookmark the permalink. Good to know we get our daily exercise.